The Dejero NewsBook for Mac software offers an affordable, versatile, and simple way of increasing your remote newsgathering or live streaming capabilities. NewsBook is designed for solo video journalists, international correspondents, and field reporters that need to travel with minimal equipment—a small camera, video capture device, and a notebook computer. It’s also a great solution for streaming live events from remote locations. Dejero’s technology reliably delivers exceptional picture quality with low latency, even when bandwidth is limited. Quick to set up and simple to operate with intuitive on-screen monitoring and control. Simply use Wi-Fi and Ethernet connections, plug in USB modems for local cellular network access, or use with portable IP-based communications over satellite. 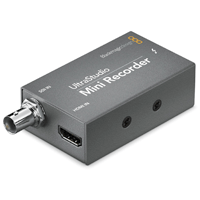 Built-in FaceTime HD camera and low-latency transmission enable high-quality talking head interviews from remote locations. Looking for a printable copy of the Dejero NewsBook product brief? Cameras can be connected to the notebook running Dejero NewsBook software with a Thunderbolt capture device supported by QuickTime X drivers.